VIDEO – Superpower Football: Chatting with Subhasish Bose! 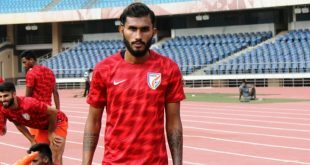 2019-03-16	Indian Super League, Team India Comments Off on VIDEO – Superpower Football: Chatting with Subhasish Bose! 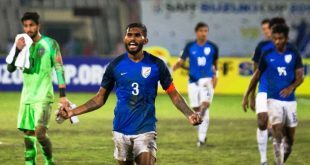 Subhasish Bose opens up to Superpower Football about his footballing journey, captaining the National Team in the SAFF cup and his favourite Indian club! 2019-01-31	Indian Super League Comments Off on VIDEO – Mumbai City FC: Run For Flamingos with Apun Ka Team! Every mile you will run will save a flamingo! Join Mumbai City FC in the Run for Flamingo marathon to make a difference on Sunday, February 3 in Navi Mumbai. VIDEO – Mumbai City FC: Apun Ka Game Ep. 03 ft. Subhasish Bose! 2018-11-16	Indian Super League Comments Off on VIDEO – Mumbai City FC: Apun Ka Game Ep. 03 ft. Subhasish Bose! 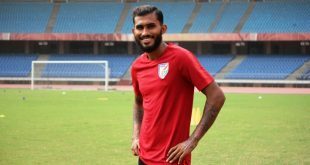 In Episode 3 of Apun ka Game, Indian Super League franchise Mumbai City FC defender Subhasish Bose talks about his inspiration and idol in football. India respect Maldives but fear no one ahead of SAFF Cup final! 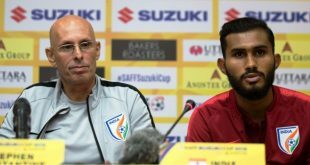 2018-09-14	Asia, Team India Comments Off on India respect Maldives but fear no one ahead of SAFF Cup final! 2018-09-14	Asia, Team India Comments Off on India’s Bose & Thapa: Captaincy has made us more responsible & confident! The road is long & Subha needs to continue doing his job, states Bose’s emotional mom! 2018-09-04	Asia, Team India Comments Off on The road is long & Subha needs to continue doing his job, states Bose’s emotional mom! India’s Subhasish Bose: My dad is living his dreams through me! 2018-08-07	Team India Comments Off on India’s Subhasish Bose: My dad is living his dreams through me! 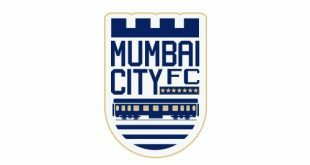 Mumbai City FC sign left-back Subhasish Bose from Bengaluru FC! 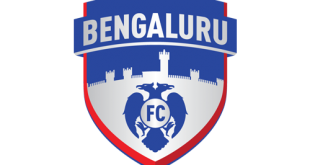 2018-06-06	Indian Super League Comments Off on Mumbai City FC sign left-back Subhasish Bose from Bengaluru FC! 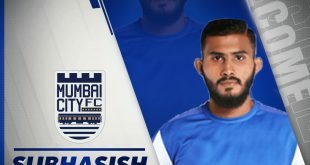 VIDEO – Bengaluru FC: #BlueInFocus – Subhasish Bose! 2018-01-05	Indian Super League Comments Off on VIDEO – Bengaluru FC: #BlueInFocus – Subhasish Bose! Young defender Subhasish Bose spoke to BFC TV about what it feels like to be a part of the Bengaluru FC family, the start of his career and more. Watch now!